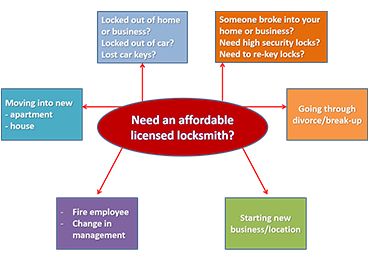 Looking for a locksmith in Hollywood? No worry, Half Price Locksmith Hollywood provides fastest locksmith service in everywhere in Hollywood Hill and Emerald Hills. We understand the emergency of locksmith services in time of need, that’s why we provide 24/7 Locked out services in as little as 15-20 minutes. Suppose your keys are inside the room and got locked out the door in time of hurry? Do not need to break your locking system or window glasses. Just make a call in 754- 888-9470 and our well-equipped professionals will be there in your doorstep and unlock your locking system in as little as 15minutes. Whenever you are trapped in tricky circumstances of auto Locked out, our professionals can attend you in a little time and escape you from the miserable situation. Our technicians skilled with resourceful technology solve the issue without damaging your vehicle’s locking system. You feel secured in your home we secure your home. In Half Price Locksmith, security of your home is our biggest concern. That’s why we provide only top rated security program for your home security, around the clock. With us you get high quality as well as trendy door locks to match your room décor. 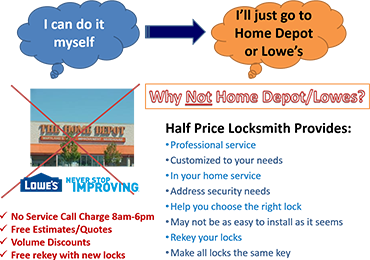 Your business house has a security requirement, which is completely different from your residential needs. Our 24/7 locksmith service provide you safety locks and padlocks specially crafted for commercial houses. You may want to update your office security system with advanced technology. Our professionals are always there to guide you right and get you the security program suits your need.